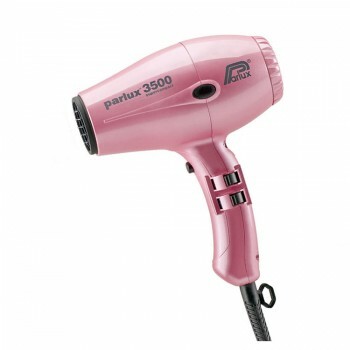 The Parlux 3500 Super Compact hairdryer, available in pink or black, really has to be seen to be believed, measuring only 17cm in length and lighter than traditional dryers, yet with even more drying power! With the creation of the new K-Lamination motor, the Parlux 3500 is the lightest, and most powerful hairdryer on the professional market. The revolutionary new technology outputs 2000W of power and gives the hair dryer an airflow of 73 cubic mtrs/hour). 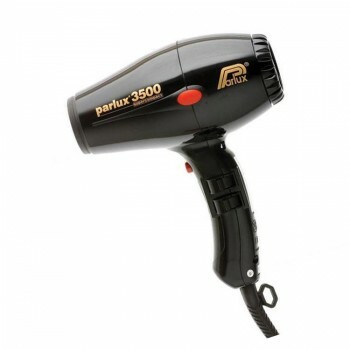 Additional to the remarkable power, the Parlux 3500 Super Compact Dryer weighs less than 490grams, which will aid in the reduction of operating fatigue.